You've decided to purchase a mobile office, making it easier for your team to get their work done. But now comes the hard part: Knowing what you need to research and plan in order to make an informed decision on which kind of trailer to buy. There are a number of benefits of buying a mobile office trailer instead of renting one, particularly if you handle long-term job sites or have a steady stream of onsite needs. Owning an office trailer means you have the ability to customize it as much as you want, and the flexibility to know that it is available right when you need it. However, renting a trailer gives you the security and resources of the rental company at your disposable. Owning a trailer means you are the one responsible for everything from maintenance to insurance. Carefully considering your needs and available options will help make sure buying is the right choice for you. Your budget will clearly be the biggest factor impacting your choice of office trailer, but with a bit of planning, you'll find that even a small budget can get you a trailer that packs a punch. Feel confident in your decision to own a mobile office trailer with this essential guide to buying. When you look at costs on paper, it may look like renting will cost far less than buying. However, leasing a mobile office trailer will only really cost less if you need to use it once, on a short-term job site. Buying a trailer takes more money up front, but after about three years the costs tend to break even. Therefore, longer jobs and ongoing mobile office needs mean purchasing will be the most budget-friendly option for you in the long run. The other main reason it can be beneficial to purchase an office trailer is if you will need high levels of customization. Some rental companies will only offer minimal options while others may charge huge fees for you to be able to tailor a rental at all. If you're going to need a special setup, an oversized space, or you'll want your trailer to resemble a more permanent structure, buying is the way to go to ensure you get what you want and need. 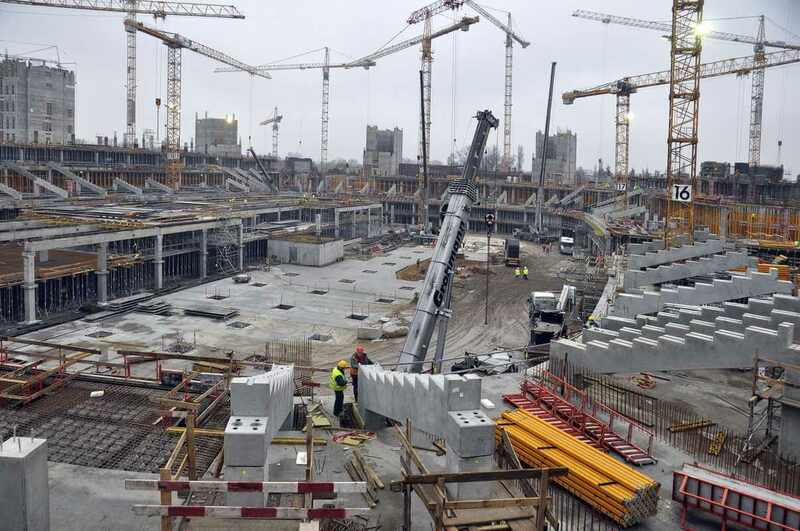 Site prep: Depending on where your office is going, you will likely have to do some prep work on the site to make sure it is level and prepared for the structure. The company you buy your mobile office from may be able to help, but since this often depends on factors like environmental conditions and local regulations, if your trailer is coming from out-of-state, you may need to handle this work on your own. Size: How many people do you need to fit, and how much space will you have available on job sites? 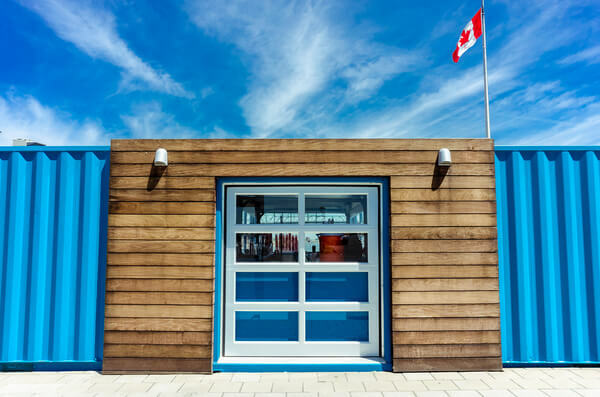 There are a number of different standard sizes of office trailers that range from a hundred square feet to thousands; not to mention, you'll have the ability to create as large a space as you need with customization and modular options. Access: There are some elements of your trailer that you'll need to plan for, such as stairs or ADA-approved ramps for access. This will depend on the type of trailer you get, where you are putting it, and who will need to enter it. Make sure that you know whether these features are included with the trailer, or whether they will come at an additional cost. Just like with any structure, there are going to be things that you'll need to make sure are installed or included with your trailer in order to run your business the way you need to. Electricity: Any mobile office trailer you get will be wired for basic electricity. This means your lights will be covered, and you can plug in any devices as needed. However, you'll want to make sure that the capacity will be suitable for all of your employees and electrical needs. Data and phone: Most new mobile office trailers will come with data connections, and they will typically also have phone connections. However, verify that this is the case, as otherwise you'll need to have these systems installed. Furniture and storage: Will you need desks for people to work, or a place to store blueprints or other necessary materials? Factor in all of the interior space additions you'll need to accommodate necessary supplies. Storage systems, in particular, come in handy on long-term job sites, and you'll have plenty of opportunities to customize these areas as much as you need. 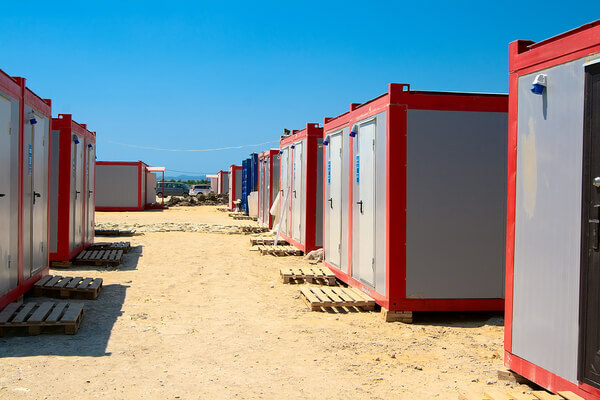 Bathrooms: Larger trailers will typically have the ability to connect to local water and sewage systems, which gives you the chance to have a full working restroom, complete with running water. However, some smaller types of mobile office trailers only have a chemical toilet, which isn't connected to local sewage. Keep in mind that if your office will be open to the public, you'll need to make it ADA-compliant. HVAC: Your trailer will likely come with some sort of heating and cooling option, but depending on your location, you may need to upgrade these systems for seasonal comfort. Trailers typically offer heat through either electrical methods or via propane, so make sure you are considering all of your monthly utility charges as well. 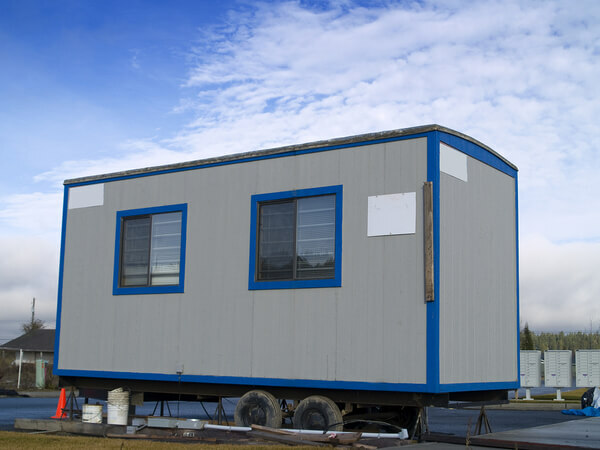 Exterior design: If you're on a construction site, the way your mobile office trailer looks may not matter, but if you're hosting clients regularly, you may want to spiff it up a bit. There are tons of options for customizing the exterior of your trailer, from roof shingles to window casements. When you purchase a trailer, all of this is customizable to your exact needs. Just because you've decided to purchase a trailer doesn't mean you have to buy the newest mobile office -- there are plenty of options to find used trailers that will suit your needs just fine. Some dealers offer an inventory of used products, while rental companies may also offer already used trailers at a discount. However, the one thing to keep in mind if you decide to buy used mobile offices is that a low upfront price can quickly add up in required updates and maintenance. 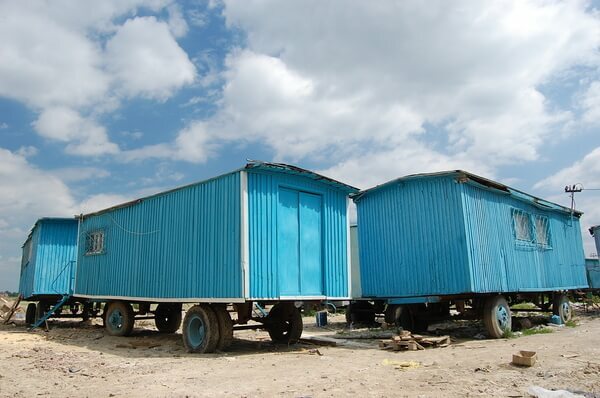 Trailers should be inspected in person as much as possible, with detailed inspections of everything from the structural integrity, to signs of rust, and even small dents. You want to know the history of the trailer -- where was it used, how long, and was it regularly maintained? In some ways, your due diligence will be the same as when purchasing a used car -- don't be fooled by a shiny exterior that hides potentially huge problems for you in the future. Of course, buying a new mobile office trailer will reduce much of these considerations. However, it will come with a higher price tag, so you may want to consider other ways of reducing the cost. Some dealers will offer a buy mobile office from lease program, which means you are essentially paying off the cost of the trailer with your rental payments. This can be a great way to access a higher-end trailer without ponying up all the cash upfront. The one major downside of owning a trailer as opposed to renting one is that you'll be responsible for everything from logistical needs like site prep, to obtaining the right permits for your structure. Most localities require temporary structures to have some kind of permitting, so this should be the first step in figuring out what you'll need to prepare for in order to make the transaction happen. Maintenance will also need to be taken into consideration, as well as insurance and liability in the face of damage, loss, or theft. If you have a local dealer, he or she will likely be able to recommend suppliers and service professionals, so make sure you have a plan in case you'll need maintenance work immediately. Transporting your mobile office trailer will also be your responsibility if you buy one. This goes from having the trailer delivered to your site once you buy it, so estimate your costs by factoring in things like the size of your trailer and the distance it has to travel to get to you. Make sure you are fully informed when you purchase a trailer by asking your dealer the right questions about their product. Find out what their process for delivery is, where their inventory is located, whether they have new or used products, and what kind of customization they can help you with internally. As mentioned, you'll want to do plenty of due diligence to make sure you are getting what is advertised, but with the right precautions, you'll find owning your mobile office trailer can be a hassle-free experience. If you're ready to take the next step towards buying an office trailer, request a quote and get started today.